The young pianist Inon Barnatan plays Debussy and Ravel with striking assurance. Some people are intimidated by the vastness of classical music. And while the prospect of more than 1,000 years of hits to consider may be daunting, just think instead of how many musical journeys of discovery can be made. On this visit with weekends on All Things Considered host Guy Raz, he and I explore the soothing and the headbanging sides of Anton Bruckner, the timeless spirituality of Arvo Pärt's choral music, a cheeky pop and classical integration and a gifted young Israeli pianist who plays Debussy and Ravel as if he were a born Frenchman.  And if you're just joining us, this is WEEKENDS on ALL THINGS CONSIDERED from NPR News. I'm Guy Raz. And it's time now for music. NPR classical producer Tom Huizenga is back again with some new recordings that have caught his ear. RAZ: This is one of those recordings. 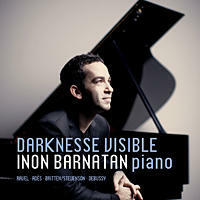 It's by the young Israeli-born pianist Inan Barnatan. He's playing Maurice Ravel. And Tom is with me in the studios. Great to have you back. TOM HUIZENGA, BYLINE: Hey. It's great to be here, Guy. RAZ: Tell me about Inan Barnatan. HUIZENGA: Well, he's not a superstar pianist, I mean, at least yet, but he sure plays like one, I think. He's originally from Tel Aviv. He now lives in New York. He's in his early 30s. This is a new record I really like. It's called "Visible Darkness." 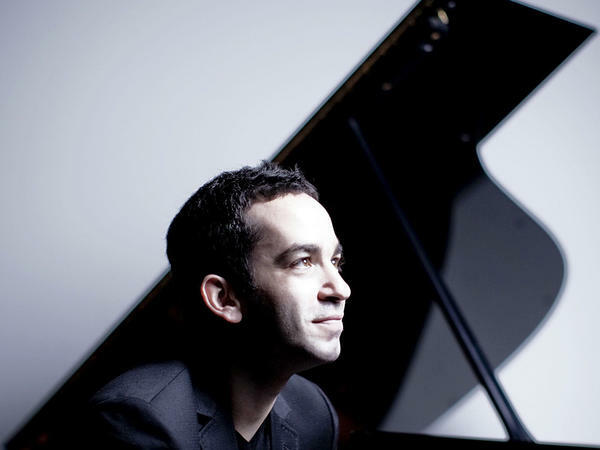 He plays music by Ravel, Debussy and the contemporary British composer Thomas Ades. And the thread that ties all of them together is literature. HUIZENGA: Each piece is inspired by a poem or a story. And what we're hearing now is from Ravel's "Gaspard de la nuit," a very tricky piece to play, but based on a set of poems by Bertrand. HUIZENGA: "The Waltz." And it's Ravel's ode to the Viennese Waltz, but Ravel turns it and twists it into a sinister type of thing. The waltz just kind of grows and grows and bloats and wobbles, and it eventually just implodes under its own weight. HUIZENGA: I think you're right. Yeah. It's kind of like this drunken dance of death at the end, a very nice playing by a pianist to keep an ear on, Inan Barnatan. RAZ: I will, indeed. It's excellent stuff. All right. What else you got for us? HUIZENGA: How about some atmospheric choral music? HUIZENGA: This is called "Summa" by Estonian composer Arvo Part, sung by a terrific chamber choir from Estonia called Voces Musicales. RAZ: This is great. I love this. It's beautiful. RAZ: It - the music sounds, you know, old, but Part is a contemporary composer. HUIZENGA: Right. He's definitely - he's alive and well, but he's got a very old school sound. Back in 1968, he surprised all of his colleagues by dropping out of the composing scene. And he left this kind of challenging atonal style behind and went into a period of self-imposed silence. And at the time, he studied old choral music, came back out of the silence about eight years later, and his new music was practically unrecognizable. It was like this, spare, elegant, often haunting and often very religious. RAZ: Why did he make that change? HUIZENGA: Well, I just think he was a composer that was searching for a voice, his voice, and by dropping out, he actually found it. RAZ: Is this entire record compositions by Part? HUIZENGA: It's all Part recording, anchored by the piece we'll hear next. It's a half-hour long Te Deum which he wrote for three choirs, piano, tape and string orchestra. It's sung in Latin, and here's a little section where the choir is just in glorious full choir. RAZ: That is just beautiful. HUIZENGA: It's great, isn't it? RAZ: It is. 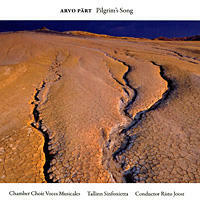 It's the chamber choir Voces Musicales from Estonia with "Te Deum" by Arvo Part. My guest is Tom Huizenga, classical music producer here with NPR Music. Tom, what do you got next? HUIZENGA: Well, let's go from Estonia to Brooklyn, where we've got here kind of a curious combination of pop music, electronics and classical music from William Brittelle. RAZ: I like this. And we've talked about this before. You've brought music like this before. RAZ: And I guess sometimes you even call it indie classical. HUIZENGA: I think you could call it indie classical, definitely. I mean, Brittelle, William Brittelle actually calls this electroacoustic chamber music. 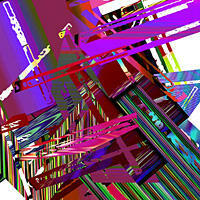 This piece is called "Future Shock." He wrote it for a string quartet, and then he does his own synth and drum programming. But I like the integration of the electronics - some are very kind of retro-sounding - along with the strings. I think it sounds really quite fresh and natural to me. But let's skip ahead a little bit. HUIZENGA: We're going to hear this mega Phat beat, kind of just hijacked music. HUIZENGA: Oh, the capital P.
RAZ: The capital P Phat. RAZ: This is very cool stuff. I'm just curious, though, who is the audience for this? Is it an electronic crowd? Is it, like, the young club scene people, or is it people going to see chamber music in downtowns across America? HUIZENGA: Well, I think it is definitely younger people. I mean, it's not the people that go hear Haydn's string quartet at a museum. But there are more and more people paying attention to this kind of music, and it's making headway into a lot of different places. I mean, you're going to hear this music in clubs rather than concert halls. HUIZENGA: But you'll hear it in concert halls too. RAZ: Tom, we have time for one more. How about some, you know, just kind of straight ahead. HUIZENGA: OK. How about some soothing, gorgeously played music by Anton Bruckner? RAZ: ...and hours and hours to just lie back with my eyes closed. I think once - I can do that one day. I'm going to listen to this music. 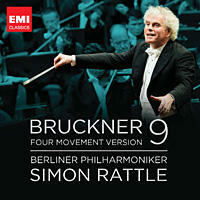 HUIZENGA: Well, time is what you do get in Bruckner, because this is a 82-minute symphony. But you would be kind of bounced out of your chair after a while because it's not all this soothing. The kind of a well-known muscular, beefy side of Bruckner is all over in this symphony, especially in this scherzo that we'll hear now where Bruckner builds incredible tension and relief. It's very kind of in your face, super great playing by the Berlin Philharmonic with Simon Rattle. And I recommend turning the volume up on this one. HUIZENGA: It's kind of a head banging thing going. RAZ: My visions of that comfy chair have been quashed by that. RAZ: It's great. That's the scherzo from Bruckner's Ninth Symphony in a new recording by the Berlin Philharmonic and conducted by Simon Rattle. That's one of the picks Tom Huizenga brought in this week. He is, of course, NPR's classical music producer. You can find more of his picks today at the blog Deceptive Cadence. You can find it our website, nprmusic.org. Tom, thanks so much. HUIZENGA: Always a pleasure, Guy. RAZ: And for Sunday, that's WEEKENDS on ALL THINGS CONSIDERED from NPR News. I'm Guy Raz. Thanks to producer Sanaz Meshkinpour for her help this month. Check out our weekly podcast. Search for WEEKENDS on ALL THINGS CONSIDERED on iTunes, or go to npr.org/weekendatc. We're back on the radio next weekend. Until then, thanks for listening and have a great week. Transcript provided by NPR, Copyright NPR.